This All Weather version of the 4 in 1® Utility Trailer Kit is extremely popular with owners of SUV’s, Jeeps, and mid size vehicles. Part of the "Best of Class Series" this trailer is engineered to glide smoothly down the road behind your vehicle regardless of how far or what the weather conditions might be. The reinforced corrugated steel side panels are very easy to remove to accommodate wider pay loads. 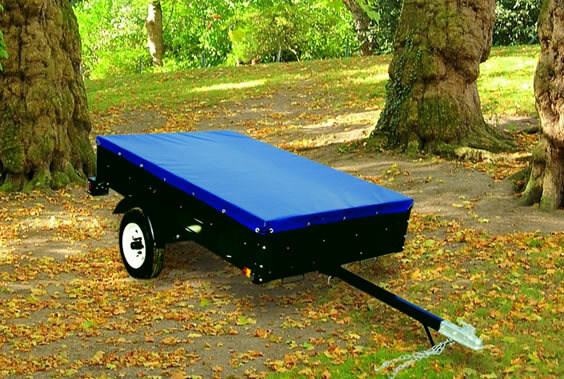 This "All Weather" dump trailer comes with a marine grade tarp & tie down system, has an exclusive load bearing front and back corrugated steel drop gate(s), which instantly increases the bed length when both gates are lowered. Every dump trailer comes with telescoping tongue, a payload balancing system which provides exceptional balance and ease of mobility.